The long pulse Nd:YAG laser used by HydroHealth is the “newest” hair removal laser. Because it is 1064nm infrared beam is poorly absorbed by skin and pigment, it may be safely used in all skin types, including tanned patients. Large spot sizes and fast repetition rates allow large areas to be treated quickly. Disadvantages include more discomfort during treatment and less effective clearance for fine and light hairs than the other hair removal lasers. Laser hair removal can be mild to moderately uncomfortable. Each individual hair follicle is surrounded by nerve endings. While some patients may be able to tolerate the procedure without the use of an anesthetic, others may find the application of an anesthetic cream (such as EMLA) helpful. A generous layer of anesthetic cream is applied for 30-60 minutes before the procedure and can provide adequate relief from discomfort during the procedure. 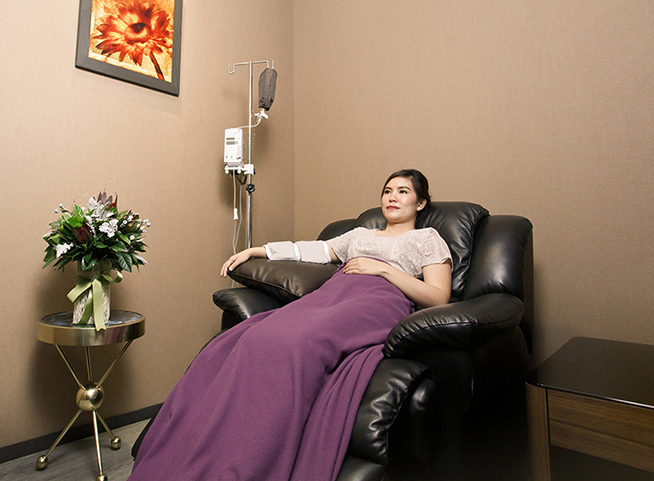 For satisfactory, long-lasting hair removal most patients require three to six treatments. The interval between treatments varies between 4 and 12 weeks, and will depend on your hair color, the type of laser used, and the location treated. Almost anybody who has undesirable hair is a candidate for laser hair removal. However certain conditions may complicate treatment. Laser hair removal achieves the best results with light-skinned, dark-haired individuals. Lasers with longer wavelengths are generally useful for darker-skinned patients. The presence of an active bacterial or viral infection prevents treatment until the condition resolves. A history of hypertrophic scarring or keloid formation requires less aggressive laser treatments in order to avoid any complications. The presence of a suntan makes laser hair removal less effective and increases the likelihood of scarring or skin injury. If you have psoriasis or vitiligo, you should be warned about the possibility of causing more lesions in the treated areas. Most dermatologists recommend waiting 1 year after taking isotretinoin (Accutane®) before doing laser hair removal because of atypical scarring that has been associated with use of this drug during treatment. The primary objective is safe and effective hair removal. Total permanent hair removal, while desirable, is not always possible. Total temporary hair removal lasting several months is a reasonable expectation. Some permanent hair reduction in treated areas is possible, especially after multiple treatments. You should strictly avoid sun tanning and artificial tanning products. You should avoid waxing, plucking or electrolysis of any areas to be treated for at least 6 weeks before your laser treatment. The use of shaving and depilatory creams is allowed. If you have darker skin, you should consider a bleaching cream or skin lightening regimen. You should shave the treatment areas within 24 hours prior to treatment. You should remove cosmetics prior to treatment. Emollients and/or topical corticosteroid creams can be used to keep areas moist and reduce redness and swelling. Blisters and crusting are treated with antibiotic ointment and daily soaks. You should strictly avoid the sun in order to prevent pigmentary changes.